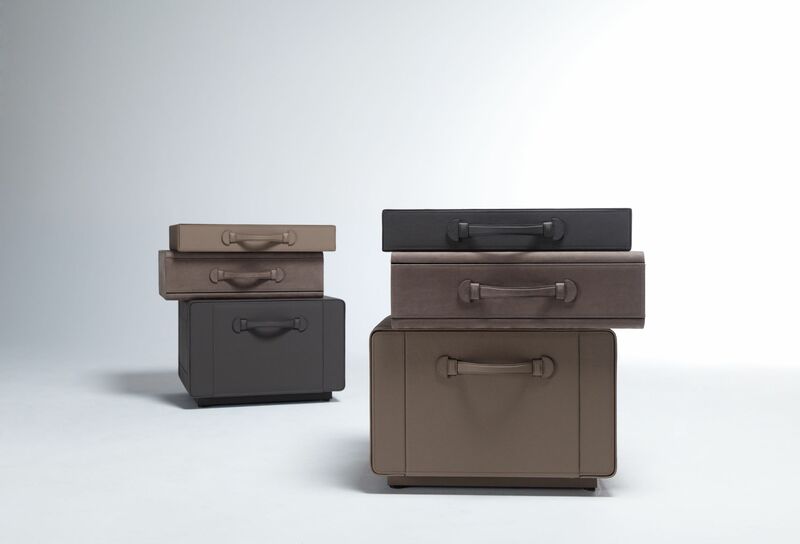 The Suitcase Series was inspired by the designer's great passion for traveling and exploring the world. 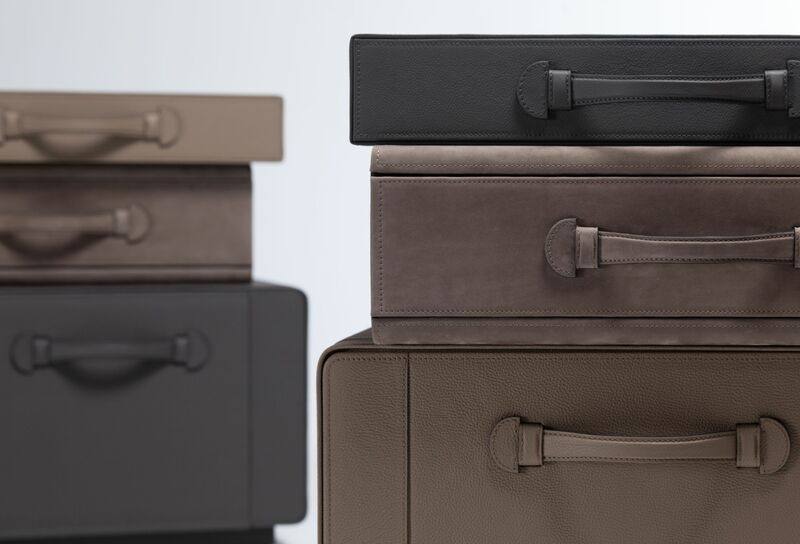 Towers and asymmetric compositions are made of suitcases and briefcases in precious leathers, created in a close collaboration with one of the most renowned leather artisans in Belgium, Ralph Baggaley. 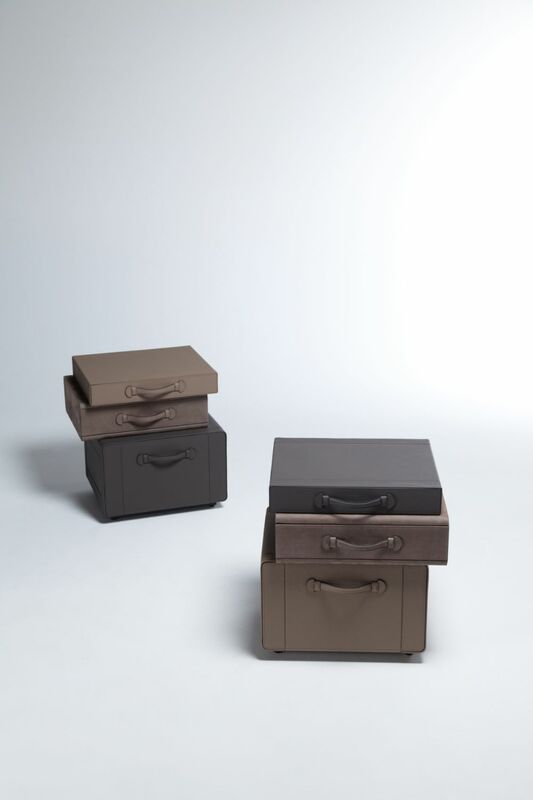 The craftsmanship and detailing is simply sublime and calls for instant admiration.These pieces, though colorful and playful, evoke luxurious and sophisticated atmospheres, but at the same time they carry the dynamic vibe of modern nomads,that travel trough cities and continents without restrictions or boundaries. 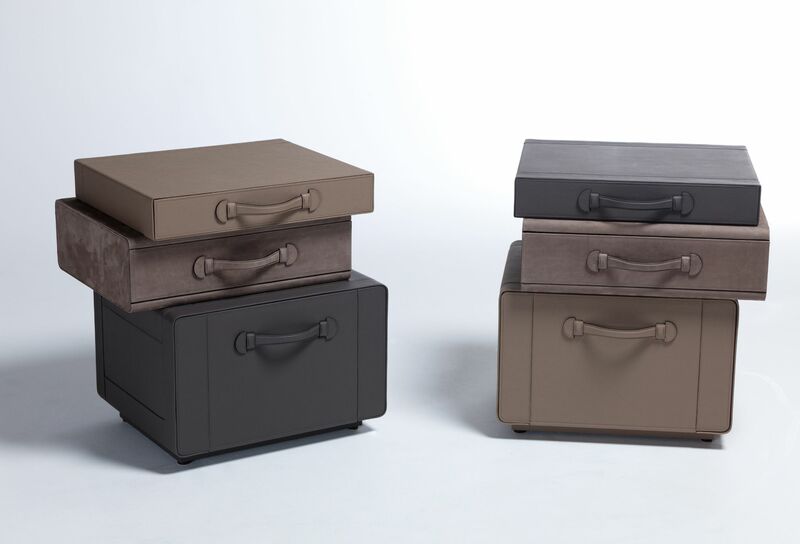 The Bedside Table of Briefcases are perfect to be used as night stands. 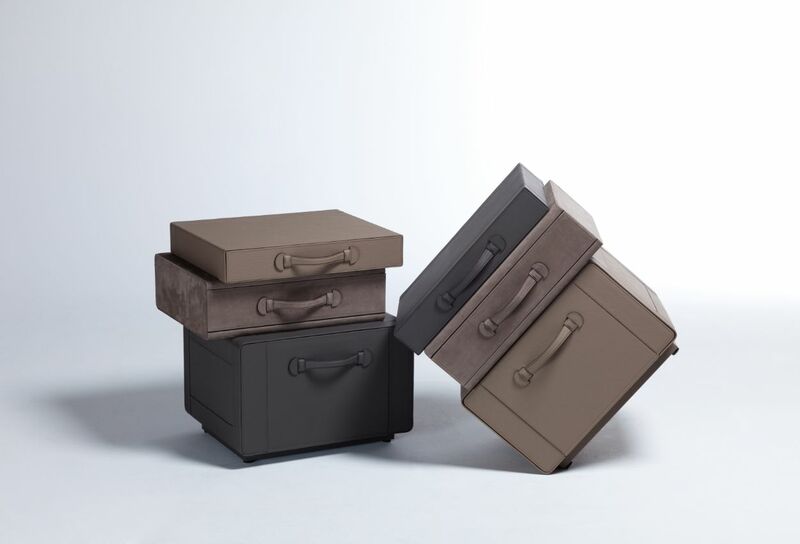 The 3 suitcases are fixed together invisibly.